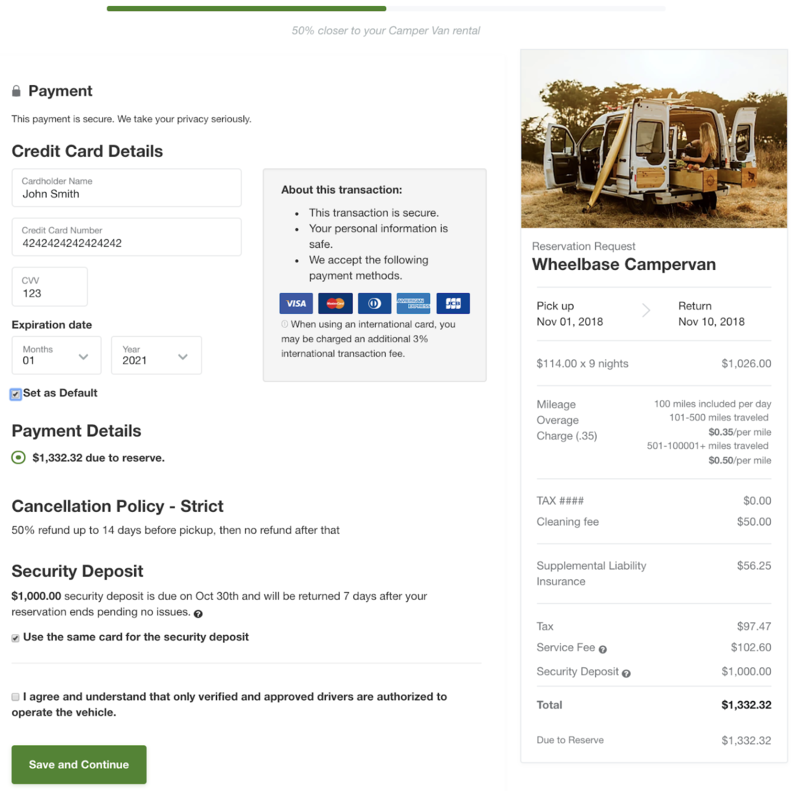 In the event that a renter pays with a card that originates from a different country than your bank account, they are charged a 3% International Transaction Fee. Who gets charged the International Transaction Fee? Only the renter will be charged. How much will the renter be charged? 3% of the transaction amount. This applies to the rental charge and the security deposit. How will the renter be charged for this? The renter will see this as a second separate transaction on their account's statement. Do my renter's see this somewhere online before booking? 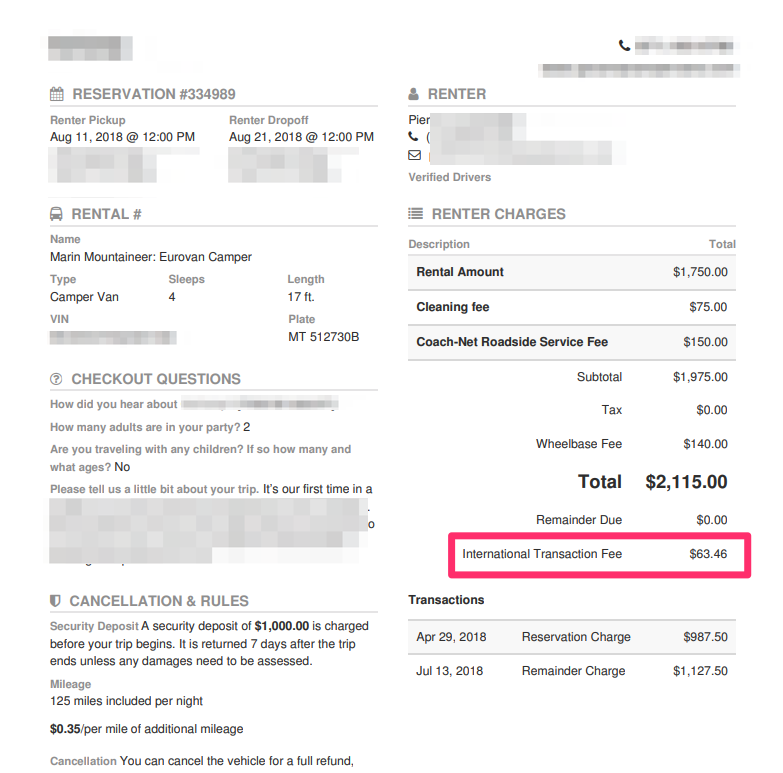 Yes, when processing their reservation charge online, warning of the international transaction fee is displayed below. Can I see this in the Wheelbase Dashboard? Yes, the amount of the international fees charged thus far will be included on the reservation. This will help the renter identify that the separate charge on their card.